This year’s yearbook made a break from the style of the previous yearbook by choosing to have a brighter, more colorful design to show unity among all ethnicities. The phrase directly comes from the comedy TV show with the same name from the 1990’s that was known for its inclusive and diverse cast. Having comedians like Jim Carrey work alongside Jamie Foxx and David Alan Grier was considered groundbreaking at a time when TV was mostly geared towards casts of one ethnicity. 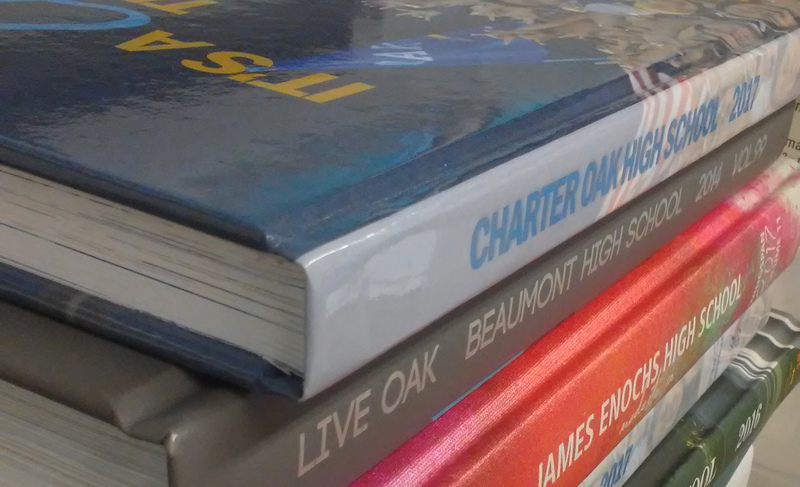 Using this idea, this year’s theme stresses the diversity inside of Charter Oak High School that brings students together rather than splits them apart, according to yearbook advisor Ms. Summer Nixon. “While we were brainstorming ideas, the whole goal was to not copy last year’s [yearbook]. Last year’s focus was ‘what is Charter Oak all about’ but this year[‘s theme] is ‘what is the world all about,’ considering the times and everything that is occurring in politics and news,” Mariel Quincena, senior and co-chief editor, said. While the theme was originally proposed by Ms. Nixon, the staff have made it their own with new changes to the yearbook design. “Our literal response to the title is that the yearbook is going to be much more colorful. There’s going to be more pictures and less words. As they say, a picture is worth a thousand words. I think if there’s a word to describe this year’s yearbook, it would be ‘iconic,’” Morgan Peterson, junior and co-chief editor, said. Other changes include an addition of a timeline throughout the book of the events of the year and the use of watercolor splotches to add color to the book. There will also be multiple collage pages to highlight student life with quotes along the bottom from lesser known students to be more inclusive. “We ask people questions that pertain to what the spread is about, known as ACDs or All Coverage Devices. That’s how we make sure that everyone is included in the yearbook and we have more coverage,” Mariel said. Another new addition is the implementation of senior quotes, which was advocated for by Mariel along with the former co-chief editor and CO alumnus Selena Morentin. Many of these new changes were approved by Mrs. Nixon, who replaced former adviser and ASB teacher Dr. Mike Gaber as the yearbook advisor. “With everything going on, racism is still here today. But everyone is really starting to come together and finally accept each other, even beyond race and sexuality,” Morgan said. It’s not merely “diversity” to include as many of your fellow schoolmates as you can in your yearbook — it’s common sense. You shouldn’t need to use a buzzword to describe this kind of inclusiveness. Remember, many of your peers who are not in clubs nor on athletic teams nor doing all the “civic responsibility” that upper class educators demand these days are not “not there” by choice — they are busy at home helping their families. To address your comment, the yearbook has not always had this kind of view of incorporating all students. Traditionally, the yearbook would simply feature the most prominent athletes or the most popular figures, many of which did not represent the true diversity we have at Charter Oak. I agree that it does seem like common sense to include all students in a yearbook, but I believed that it was noteworthy that this year’s yearbook theme made it a core component to bring these marginalized students to the forefront of the book, especially at a time where schools and the public are trying to be more passive. Thanks for your comment!